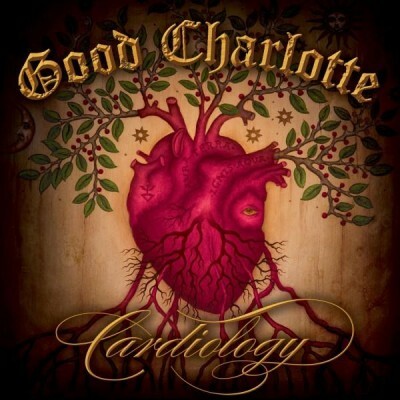 While I’ve never been a fan of Good Charlotte, the band’s last record, Good Morning Revival, I really liked. It wasn’t a cheap and cheesy attempt at some variation of mainstream pop punk. Yes, Good Morning Revival had a lot of dance tracks, but songs like The River were really a maturing point for the band. And despite the band’s claim that their latest record would move away from the sound of Good Morning Revival, I picked up Cardiology anyway. While the band doesn’t completely abandon all of their dance sound, Cardiology does have a different feel then the band’s previous work. Let The Music Play kicks the album off on a solid note. It’s a good rock song that shows the bands progressions. Counting the Days and Silver Screen Romance do harken back to the bands early pop punk (if you want to call it that) days. But it’s a matured sound for sure. Their isn’t anything cheesy about those two songs. It’s like the potential of the band is finally being reached. Then the record takes a turn people might not like. Like It’s Her Birthday is a dance track that sounds like it jumped right off of Good Morning Revival. Last Night has the same exact feel that Dance Floor Anthem had, which I personally love. It’s a great song but it does sound exactly like Dance Floor Anthem. Harlow’s Song (Can’t Dream Without You) is the worst song on the album. It sounds like a song Rihanna should be singing. It’s just a misstep. Cardiology starts strong and has a bunch of really solid tracks on it. Is it the album of the year? No. Is it a good record and a nice listen? Absolutely. Cardiology won’t win a lot of new fans and fans looking for a return to Lifestyle of the Rich and Famous will be disappointed, but overall it’s a good record.